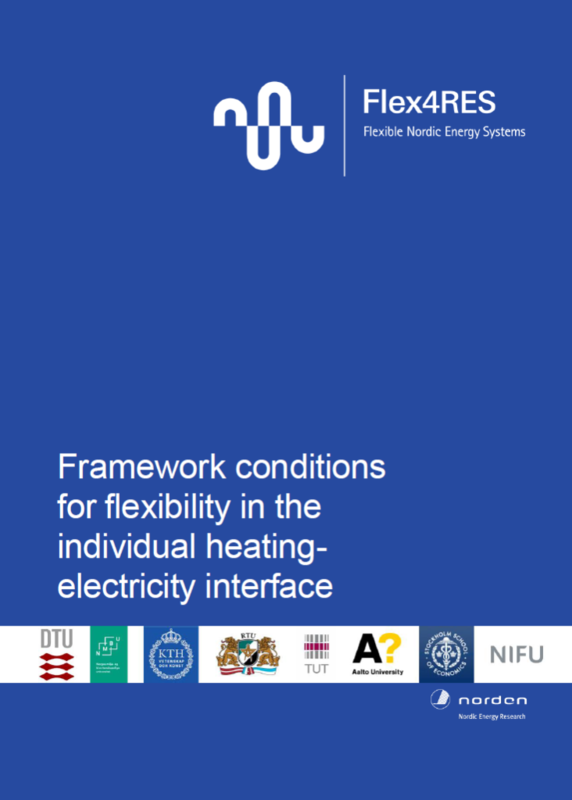 This report identifies framework conditions for flexibility in the heating of individual households in the Nordic and Baltic countries. We find that none of the countries offer ideal conditions for investment in flexible individual heating technologies, together with conditions for flexible operation of these. There is indication of a large technical potential for conversion to flexible power-to-heat technologies, since the share of fuel-based individual heating is high. Furthermore, biomass-based individual heating is generally the most economically attractive option to invest in. Denmark and Norway are exceptions, with air-water heat pumps.